Holmium metal is soft and malleable rare earth element. 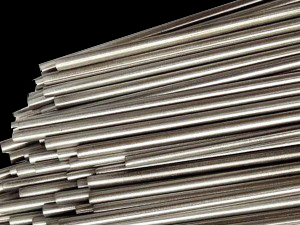 Ho metal is fairly corrosion-resistant and stable in dry air at standard temperature and pressure, but easily oxidizes in moist air. Holmium has the highest magnetic moment of the naturally occurring elements, and forms highly magnetic compounds when alloyed with yttrium. At ambient conditions, Holmium is paramagnetic. -Holmium Metal (Ho) is used in yttrium-iron-garnet (YIG) and yttrium-lanthanum-fluoride (YLF) solid-state lasers. -Holmium lasers are used in medical, dental, and fiber-optical applications. -Holmium Metal (Ho) is used as a yellow and red pigment for cubic zirconia and glass. 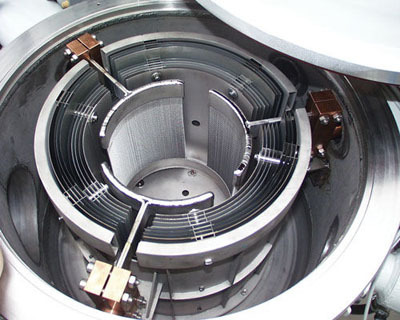 -Holmium Metal (Ho) is used to create artificially generated magnetic fields. -Holmium Metal (Ho) is used poison to regulate nuclear reactors. -Holmium Metal (Ho) is used as a calibration standard for optical spectrophotometers. Our Holmium Metal (Ho) is carefully handled to minimize damage during storage and transportation and to preserve the quality of our product in its original condition. Great care is taken to avoid any damage which might be caused during storage or transportation. Please send us your inquiry for Holmium Metal (Ho) and other Ho Products to sales@edge-techind.com.